Chem Seals Engineering Pvt. Ltd.
PTFE Mechanical Seals are external mounted seals inherently balanced in nature. Its special design avoids contact of metal parts from liquid. 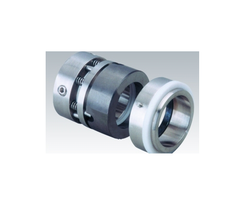 We manufacture Double Mechanical Seal. 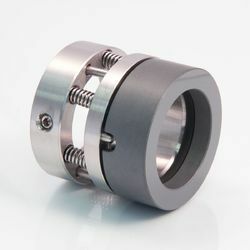 Dynamic seal face, secondary seal ring & multiple springs avoid distortion at high speed. Generally offers zero maintenance duty. Options are available with Wave Spring Seals. Faces MOC: Carbon, TC, SIC, Satellite, Ceramic, Chrome oxides, etc.